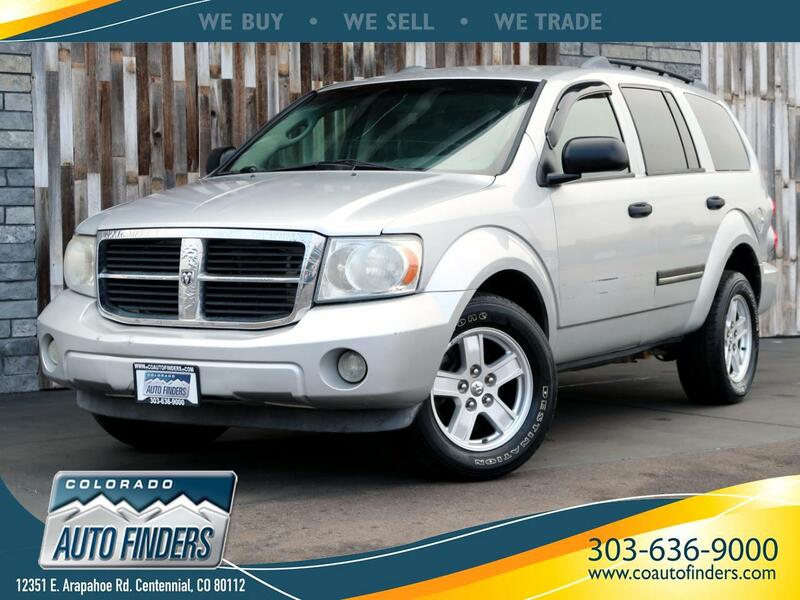 2007 Dodge Durango 4WD 4dr SLT for sale in Centennial. Powerful and spacious, the 2007 Dodge Durango is best for families seeking a full-size SUV with a generous tow rating. The SLT adds a power driver seat, wood grain cabin accents, rear air-conditioning, a two-passenger third-row bench and a 115-volt rear power outlet. Standard features like side-curtain airbags, stability control, one-touch up and down front windows, cruise control, remote keyless entry and a six-disc in-dash CD stereo are also in here.